« Something for the weekend, sir/ madam? Regurgitator — Apparently there’s more to the Australian rock scene these days then listening to old LPS by Men At Work and AC/ DC… or so the boys from CAMA would have us believe. Crack out your pencils and diaries and please write: Regurgitator, a band from Brisbane, play the American Club in Hanoi on Sunday October 12th. I read somewhere that their genre-smashing fusion of pop, punk, electro and indie rock is really good so I should go especially as I always complain about the lack of live music in Hanoi… Tickets are only 30k. Bring your friends, all of them, and let us dance. 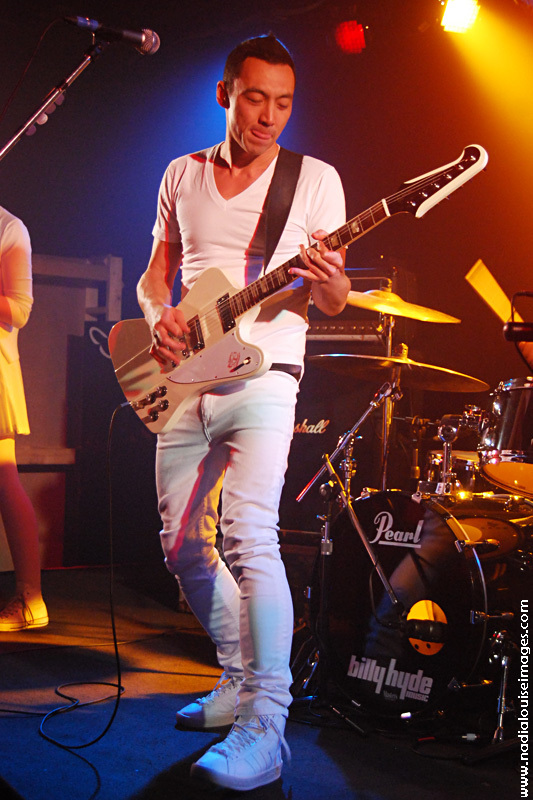 That’s Quan the frontman for Regurgitator in his rockstar tennis whites above. One of his other bands used to be called the Shits but The Comical Hat just knows he’s a lovely fella. Have a listen to a few of the ‘Gurge’s songs over at theirspace. EAT DRINK MAN WOMAN — For the streetfoodies amongst you, the gas•tron•o•mer has compiled a Top 10 of Hanoi foods. If you feel like commenting on what’s on there or, more controversially, what’s not on there — thit cho sandwich for example — drop her a line on the blog. Online debate: There’s simply no sitting on the fence with this restaurant on the New Hanoian review pages (apart from all the people who all sat on the fence and gave it three stars) and one wonders who started that rumour about Ronald McDonald taking over at 1a Ba Trieu… anyway The Comical Hat opines, why can’t we all just agree to disagree and live in perfect harmony?